Rows of little feet too short to reach the floor, swung like swing sets on long wooden pews. Lined up by grades, and bookended by teachers, the oldest sat in the back, the littlest in the front. The rite of pageant belonged to each grade-schooler in our church. From first to eighth, we met in the sanctuary. Like giant Christmas parentheses, the pageant defined the Christmas season for every parishioner, its beginning and end. We started the first Saturday after Thanksgiving and practice continued every Saturday until the big program on Christmas Eve. Little girl’s hearts beat faster for the first big announcement. Feet stilled, squirms stopped and whispers froze. Mary’s reveal time had come. The winner earned the envy of all the other girls. Mary starred. She got to wear the satin blue gown, take center stage and sit in a glowing spotlight. Everyone aspired to be Mary. But Joseph? Not so much. Most boys, would rather be shepherds. Shepherds were tough and hardy, a herd of men together, unrefined and undignified. They could punch each other on stage, play swords with their staffs, hold their noses and make jokes about sheep smells. They could be caked with dirt under their bath robes and uncombed with towels over their heads. Playing a proper daddy was a hard sell. While Mary got attention, Joseph sat almost invisible. Like a statue, opposite Mary he stared into a manger at a doll. It was awkward, asking a lot from any young boy. But those boys didn’t know the real man Joseph. 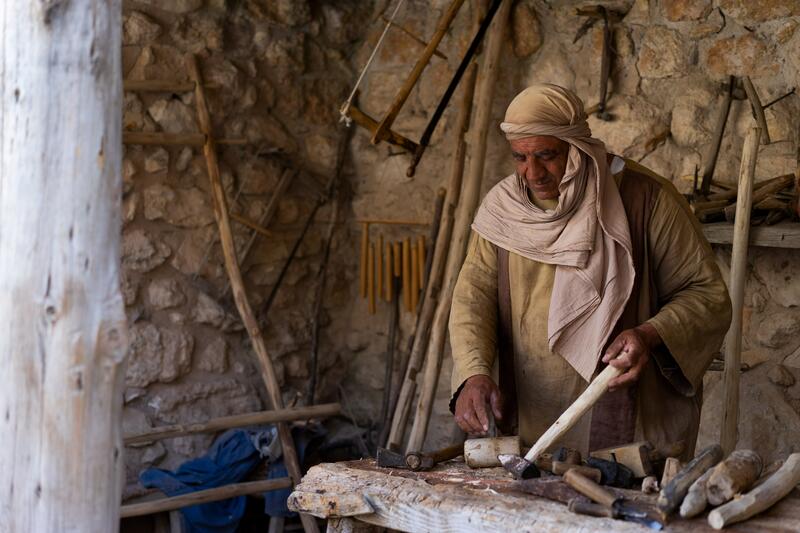 A simple carpenter from Nazareth faced gossip, terror of Herod, and the uprooting of home. Surely the weight of the task of parenting the Messiah caused him anxiety, feelings of inadequacy and even failure at times. Eventually Joseph’s role as father included integrating human siblings with their step brother, God incarnate. 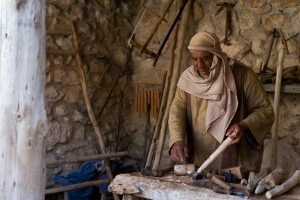 Although we really know little about him, God chose Joseph from all other fathers of all other time to be the earthy dad to Jesus. His willing response and actions show righteousness, compassion, mercy and love. A role model little boys need. Joseph, a just man, had been given a gut wrenching blow. Mary was pregnant and Joseph knew he was not the father. Joseph didn’t consider lightly his situation. Rather, the original word translated as “thought” comes from a root that means passion, anger boiling up and soon subsiding again. His tortured mind conjured images. His emotions churned. Sleep eluded. Joseph suffered. Joseph’s heart must have nearly beat out of his chest at the angel’s words. 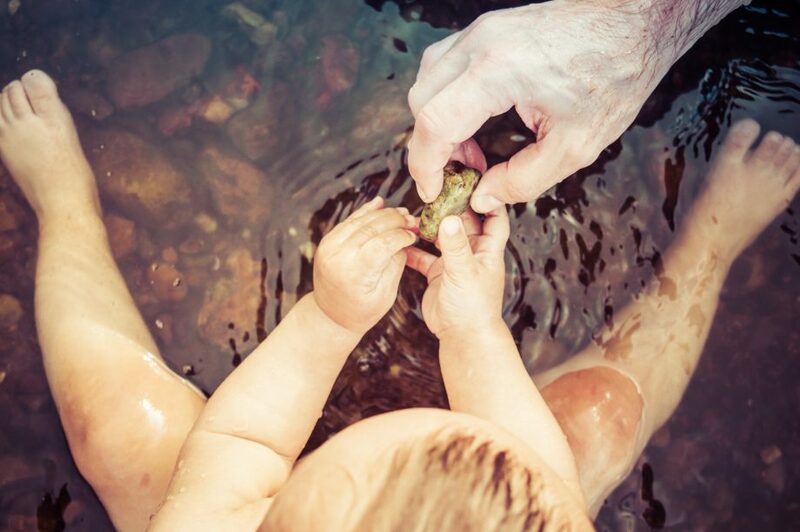 What would it have been like to be the earthly father of a supernaturally conceived child? Joseph did you know the little hands you would teach to craft wood in your carpenter’s shop crafted the universe? Joseph did you know the One you protected from Herod’s wrath controlled rulers? Joseph did you know the little boy asleep against your shoulder would one day raise a little girl from her deathbed? Joseph did you know the twelve-year-old son you searched for in Jerusalem was the One prophets longed to see? Joseph did you know the child you laughed with would someday cast out demons? Joseph did you know the fingers entwined in yours etched commandments on stone? Joseph did you know your son’s perfect obedience would one day lead Him to a cross?